Viknesh Vijayenthiran January 14, 2013 Comment Now! The latest generation of the potent Porsche Cayenne Turbo S has been revealed, with the new model packing the same 550-horsepower twin-turbo V-8 as the Panamera Turbo S.
This means you’ll be able to propel the big SUV from 0-60 mph in just 4.3 seconds and reach a top speed of 175 mph--0.1 seconds and 3 mph faster, respectively, than the Cayenne Turbo. 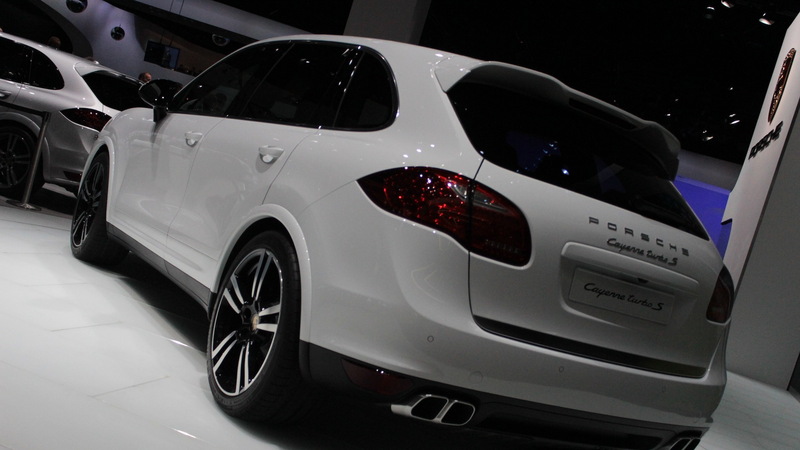 The gain of 50 horsepower over the Cayenne Turbo’s 500-horsepower rating is joined by an extra 37 pound-feet of torque, bringing the Cayenne Turbo S’ total twisting force to 553 pound-feet. This is brought about by a less restrictive inlet manifold, more boost pressure from the turbochargers, remapping of the 4.8-liter engine’s ECU, as well as other minor tweaks. 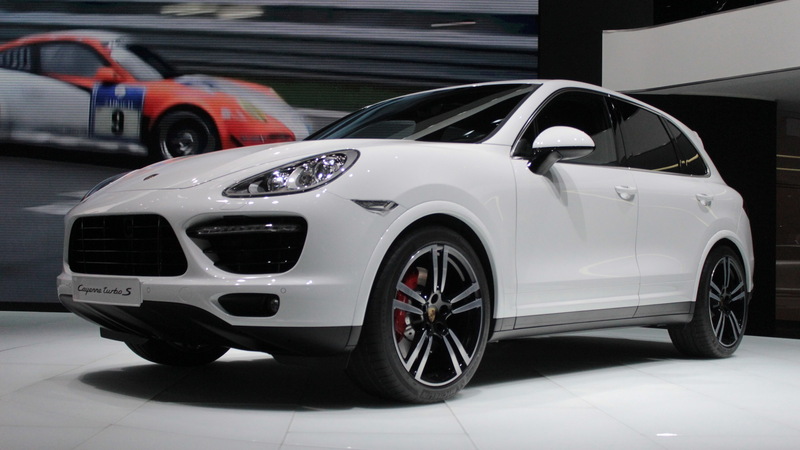 However, like with past generations, there’s more to the new Cayenne Turbo S than just brute power. 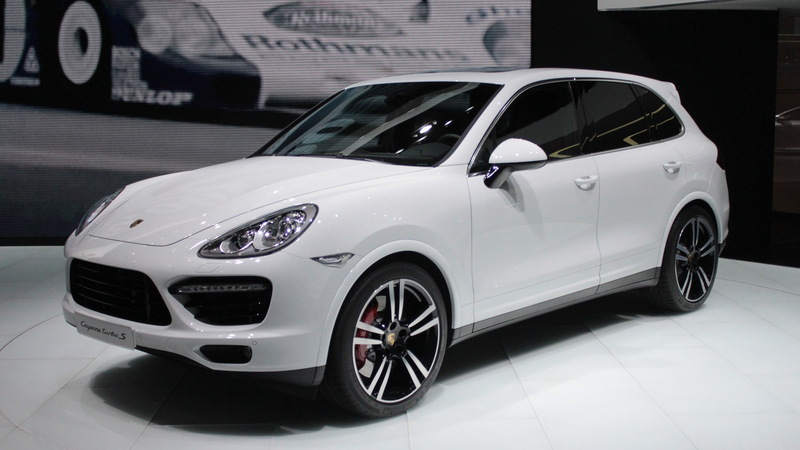 Despite its extra performance, the Cayenne Turbo S is expected to return the same 15/22 mpg city/highway fuel economy rating as the regular Cayenne Turbo. 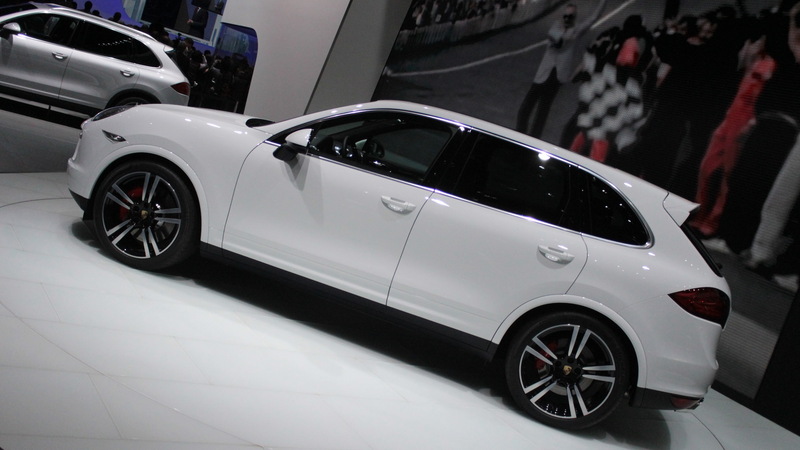 Additionally, the vehicle gets the regular Cayenne Turbo’s impressive Porsche Active Suspension Management dampening control and air suspension, but adds Dynamic Chassis Control which further helps to reduce roll while cornering via hydraulically-operated roll bars. If that’s not enough, there’s also Porsche’s Torque Vectoring Plus system, which can vary torque between the rear wheels. This works in conjunction with an electronically controlled differential lock offered with the Porsche’s Sport Chrono package, which comes standard on the latest addition to the automaker's lineup. This Sport Chrono package also adds an analog and digital timer located at the center of the dash, keeping the driver updated with information such as the total driving time, lap distance covered so far and individual lap times. It also shows latitudinal and longitudinal acceleration via the TFT display in the instrument cluster. An eight-speed automatic is also fitted as standard. Visually setting apart the range-topping Cayenne Turbo S from lesser models is a high-gloss black finish on the air intakes, headlight surrounds and lower part of the side mirror housing, unique 21-inch alloy wheels, Cayenne Turbo S badging, and quad-exhaust tips finished in polished aluminum. Inside, there's two-tone leather trim, special carbon fiber inserts, Alcantara headliner, and the aforementioned Sport Chrono package. 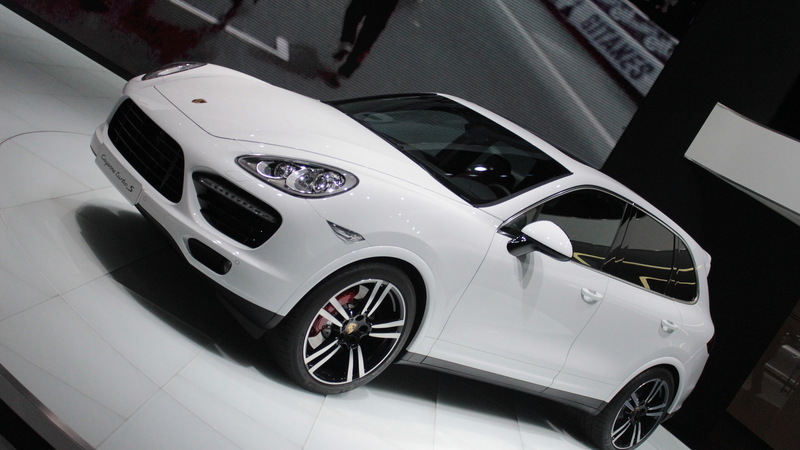 Following its debut this week at the 2013 Detroit Auto Show, the new Porsche Cayenne Turbo S will be hitting showrooms next spring as a 2014 model. Pricing will start at $146,975, including destination.